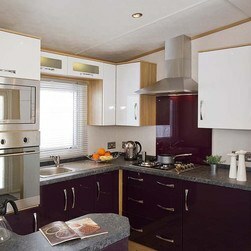 F13; a bright and welcoming Victory Woodland 6 berth holiday home, complete with veranda, gated garden, contemporary lounge, modern and well-equipped kitchen, en-suite to master bedroom, room for a travel cot, central heating and double glazing. LOUNGE; F13 benefits from a contemporary colour scheme and open plan living area. 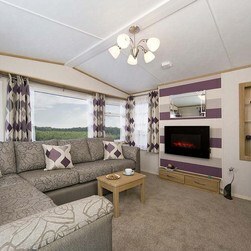 F13 provides a welcoming, bright and relaxing atmosphere, complete with fixed corner seating (includes pull-out bed), TV, DVD, Free view, coffee table and electric fire. PHOTOS; Please note: the photos used are manufactures images. KITCHEN & DINING AREA; Well-appointed kitchen including; integrated fridge/freezer, microwave, 4 ring hobs with electric ignition, cooker and extractor fan. 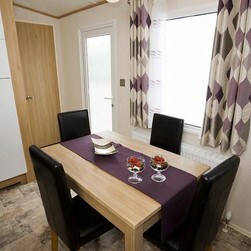 The dining area includes free standing table and 4 high back chairs. 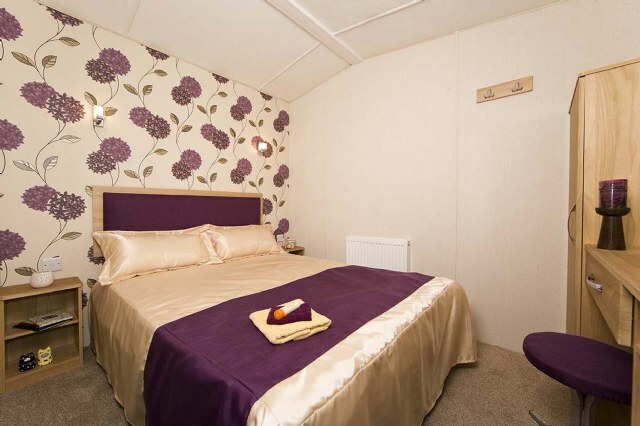 BEDROOMS; this accommodation has two bedrooms; one double benefitting from a double size bed, en-suite toilet and room for a travel cot. 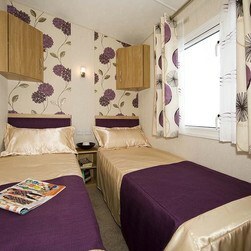 Well-presented twin room with fitted wardrobe and two single beds. BATHROOM & TOILET; F13 benefits from a fully fitted shower room fitted with full size shower with glass door, toilet and wash basin. 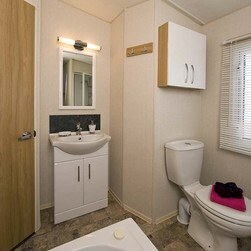 F13 benefits from having a separate toilet as an en-suite in the master bedroom. VERANDA; Yes, F13 has a veranda and gated garden. 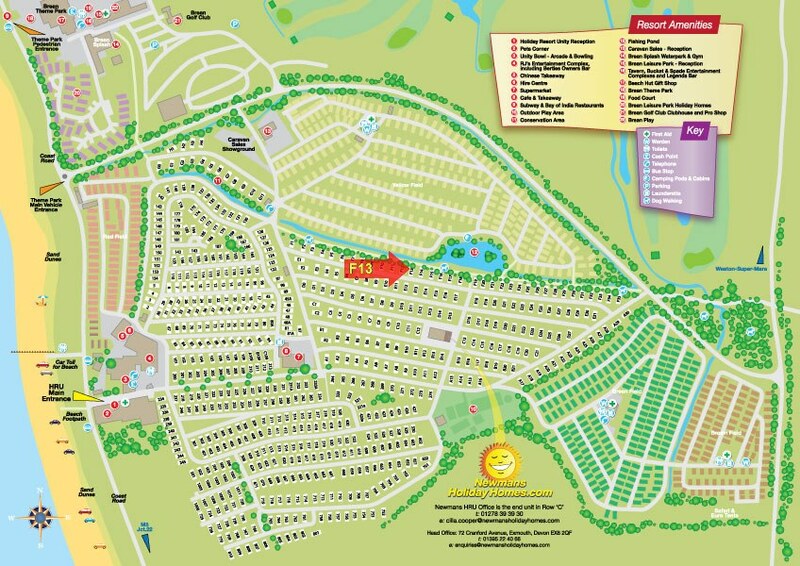 NEAREST CARAVANS FOR GROUP BOOKINGS; To find the closest caravans for group bookings please click Browse Caravans at Brean sands caravans, then select F8 from the Park Area list and click Search.